Please note photo's below are from 2018, & will be updated when 2019 improvements have been made!! 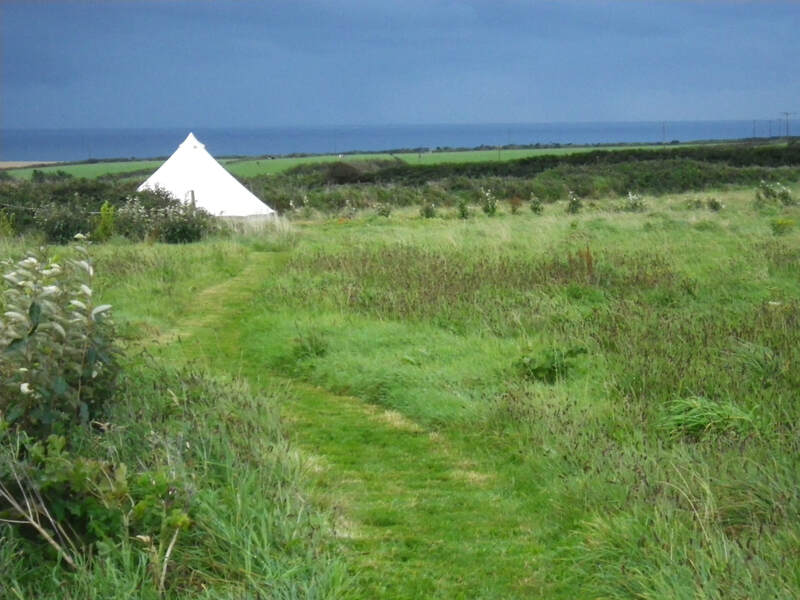 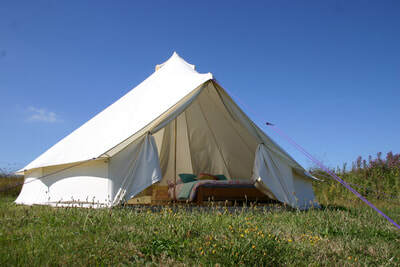 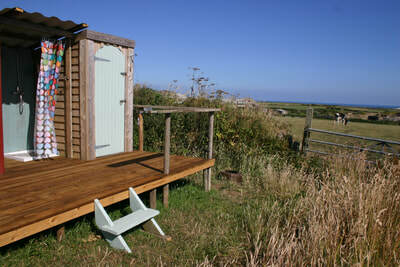 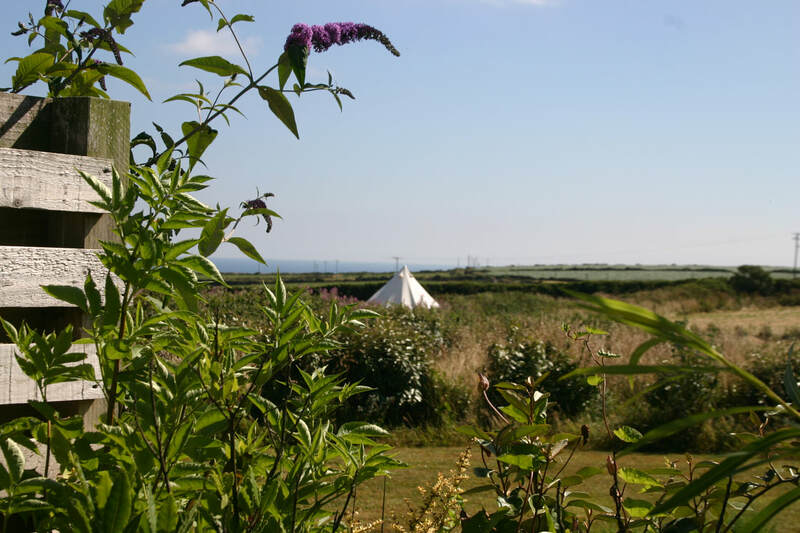 In 2019 we will be offering a lovely secluded glamping spot in our 4 acre field with stunning countryside and sea views. 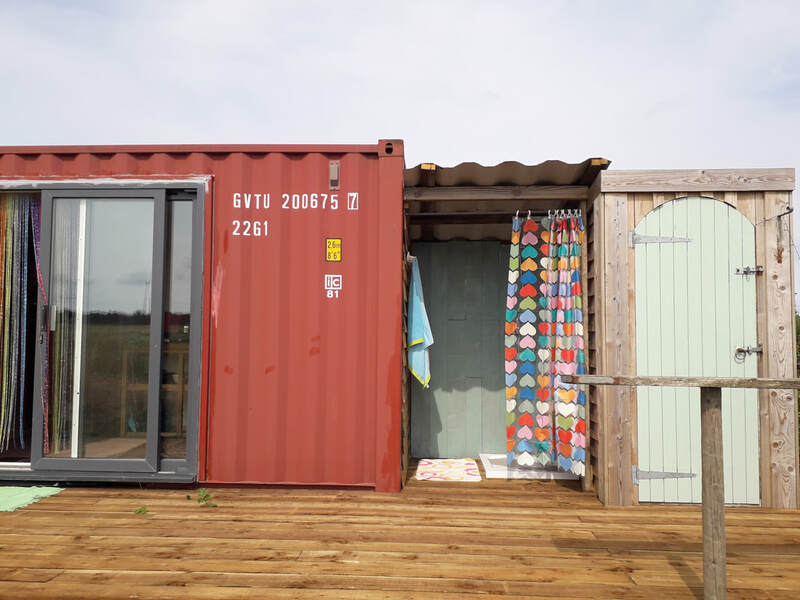 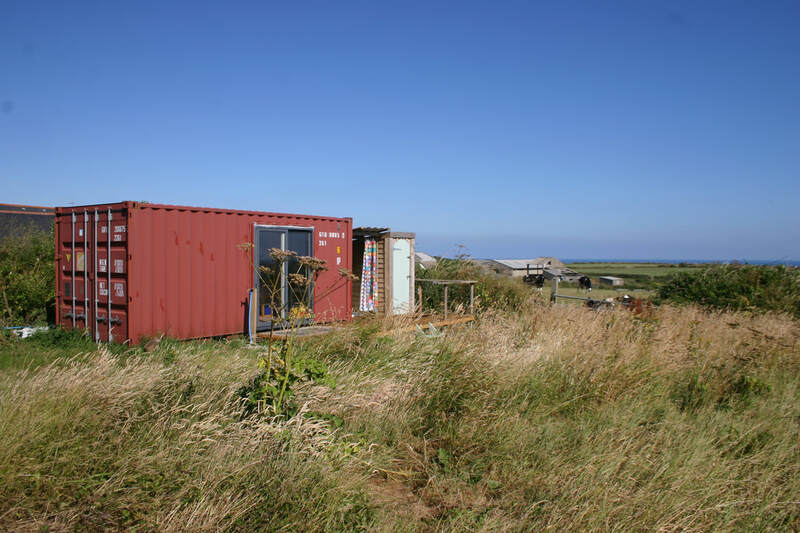 From June 7th - July 5th (and Sept 6th - End Oct) we will be offering accommodation for 2 in our off grid converted shipping container, which has an indoor kitchen/diner with gas stove, a king sized double bedroom, & an adjacent gas fired hot shower and compost loo. 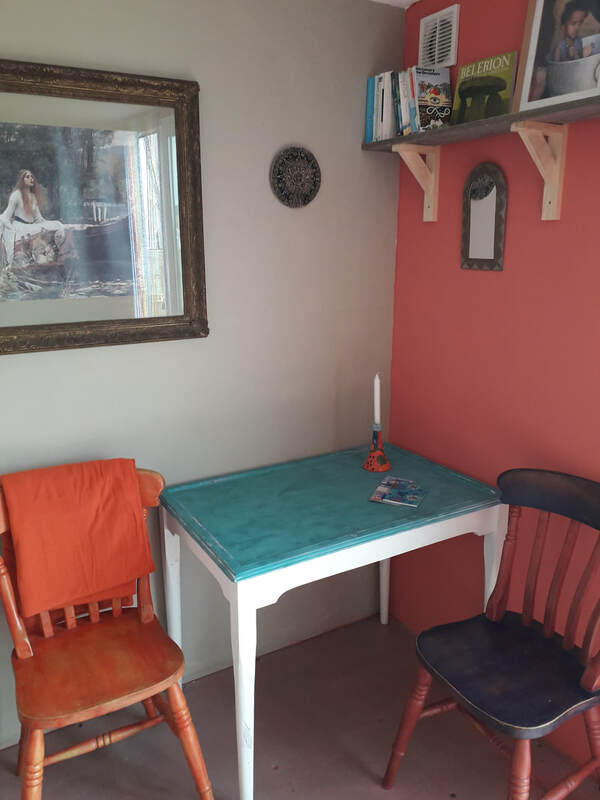 Lighting is by oil lamps and candles. 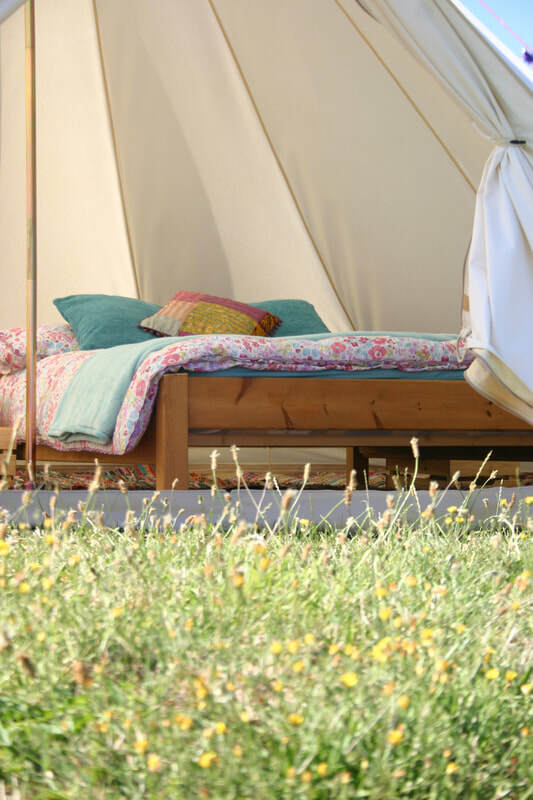 From July 5th til Sept 6th we'll add a 5 metre bell tent as a second bedroom/living space, with a comfortable double bed with colourful rugs and cosy bedding and a seating area, so for those months the site will accommodate upto 4 adults.....or be wonderfully spacious for 2!! 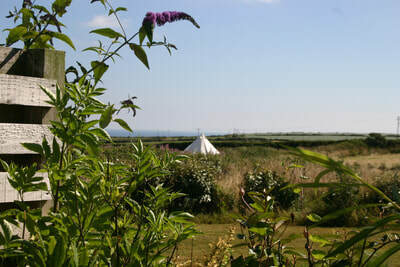 There's a fire pit to cook on or while away the evenings by, as well as the indoor gas stove. 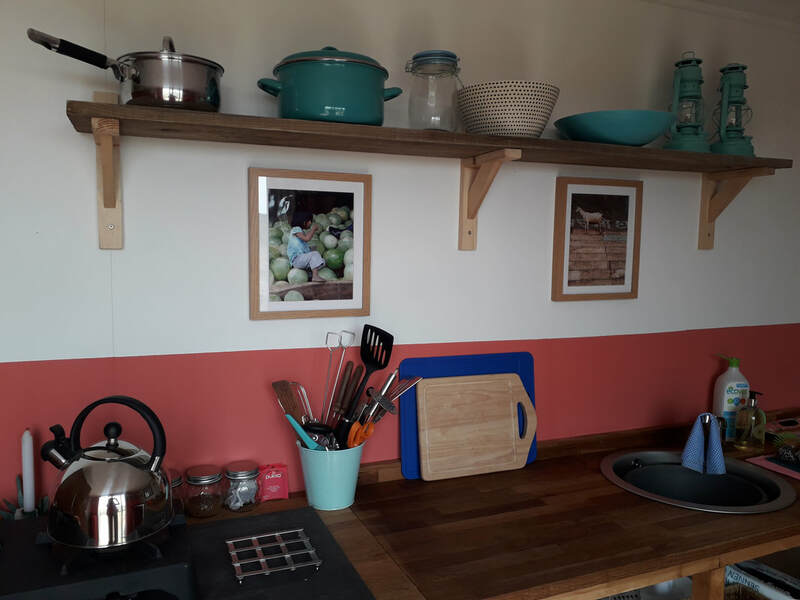 There are plenty of cooking and eating utensils & a cool box with icepacks; all you need for outdoor or indoor self-catering.